Traditional spring mattresses are a cost-effective solution making them the perfect option for your spare bedroom or for a landlord who needs mattresses for multiple rooms and properties, but they’d just as well in any other room as they’re just so comfortable. Our selection of traditional spring mattresses come in all sizes from single, double, king to super king and everything in between. So, you’ll be sure to find a mattress that suits your needs at Dial-A-Mattress. The Cheap Budget Traditional Sprung Mattress is made by Slumbereeze beds. Renown for their exce..
Firmflex Traditional Sprung Mattress is made in the UK by Deluxe Beds. 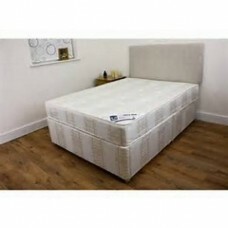 A quality renowed manufacture..
Kempton Single £119 Double £159 medium firm mattress .. 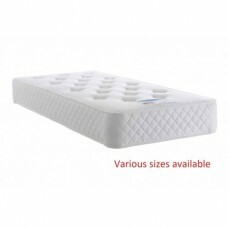 The Light Quilted Double Traditional Sprung Mattress is made by Slumbereeze beds. Renown for th.. The Merrim mattress is made by Shire Beds. A family run company built on good solid British pr.. The Princess Double 4'6 Mattress is made by Slumbereeze beds. 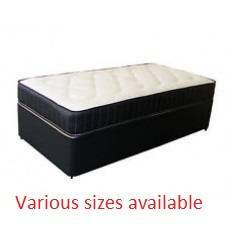 Renown for their excellent value for m..
Spring System 12.5G Quality spring unit Fabric Polyester and Foam Fill..
One of our very popular and reasonably priced mattresses. The Roma is made by Shire Beds. A family r.. 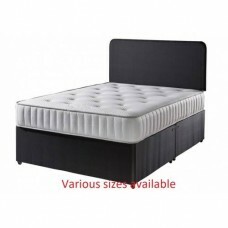 Single £99 Double £139 A mattress with a 13.5 gauge spring unit and comfort fillings. .. The Light Quilted mattress is made by Slumbereeze beds. Renown for their excellent value for money b.. The deep quilted luxury mattress is made by Slumbereeze beds. Renown for their excellent value for m..